Xiaomi Yeelight Smart LED Ceiling Light YLXD01YL new firmware upgrade to version 1.4.3_155. 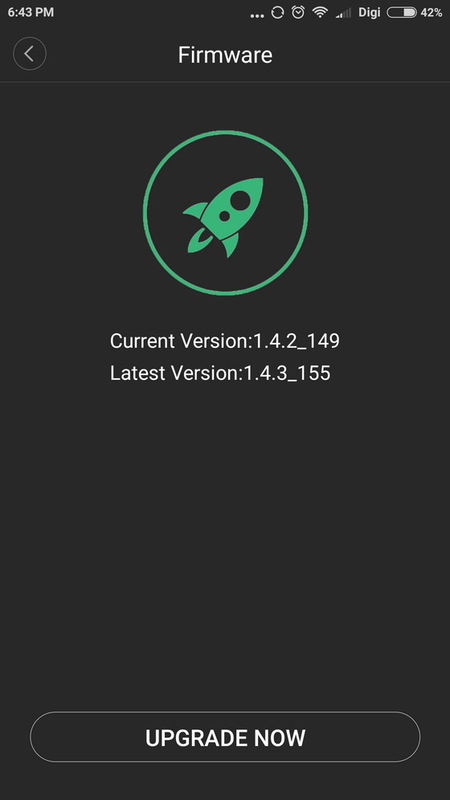 First download latest Xiaomi Yeelight Android Application v2.3.13 from here. Xiaomi Yeelight Smart LED Ceiling Light YLXD01YL new firmware version: 1.4.3_155. Xiaomi Yeelight Smart LED Ceiling Light YLXD01YL previous firmware version: 1.4.2_149. Download Xiaomi Yeelight Android application latest version 2.3.13 from here.